Katherine correctly identified our mystery seeds last week as tomato seeds. Good job! You may not have identified them easily because fresh seeds are surrounded by a jelly-like goo. More about that in a minute. The tomato above is Solanum lycopersicum (used to be called Lycopersicon lycopersicon). It is the common garden tomato, readily available in stores. A few months ago a friend gave us some tomato plants she said were "honey pearls." 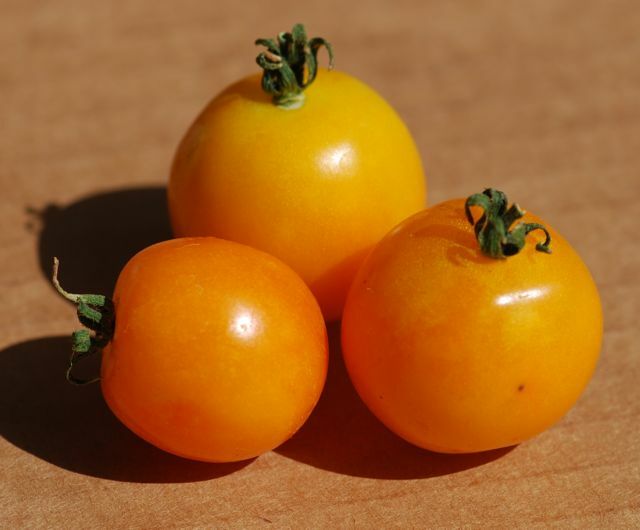 They plants produced these lovely yellow/orange cherry tomato-sized fruit. The plants continued to flower on and on through our excessively hot summer. Other varieties of tomatoes had always quit flowering during the summer. In fact the plants are still producing tomatoes, even though we had always heard that tomatoes couldn't produce fruit if nighttime temperatures are too high. We wanted to learn more about them. It turns out that these particular plants are a different species, Solanum pimpinellifolium, sometimes commonly called currant tomatoes. 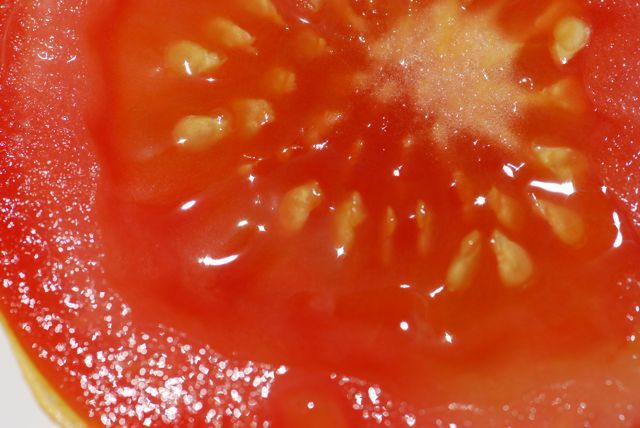 Tomatoes were originally from South America. Currant tomatoes are one of the wild-type tomatoes that are edible. 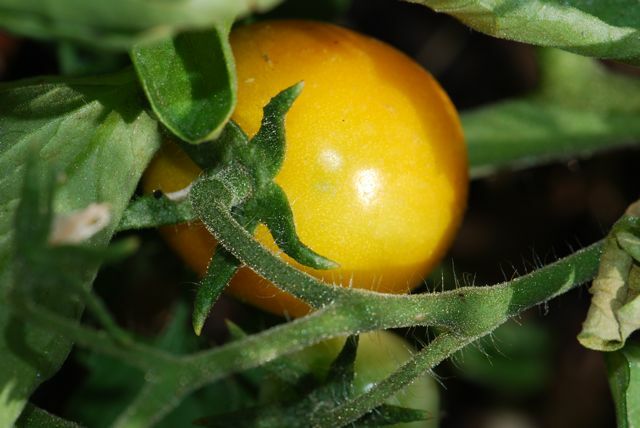 They are able to cross with garden tomatoes and some hybrid varieties exist. Isn't that amazing? Now about the gel around the tomato seeds. 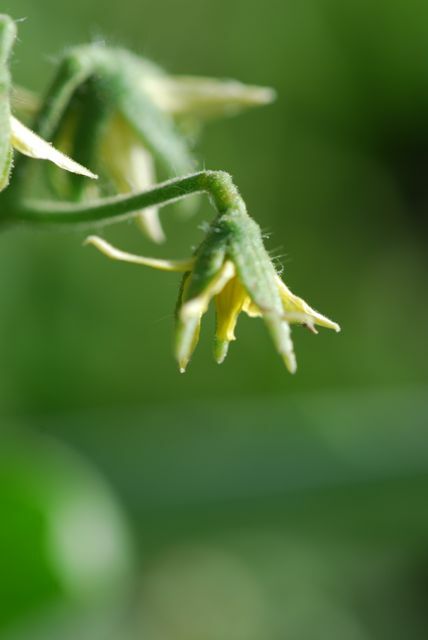 Evidence suggests that the gel around the tomato seeds (while they are in the fruit) prevents germination. 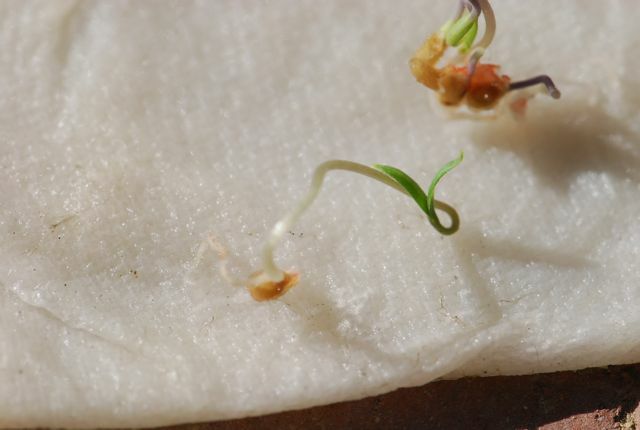 Once the tomato fruit falls to the ground and rots, the gel breaks down and the tomato seed sprouts. The CSIRO has a fun experiment with tomato seeds to test this. I'm not completely convinced this is true for all tomato seeds. I have germinated seeds from fruit without fermenting them, although it is possible that the gel had broken down already for other reasons.You can be sure I'm going to be examining the question further. Have you ever grown tomatoes from seeds? Were the seeds from seed packets or from seeds you saved?